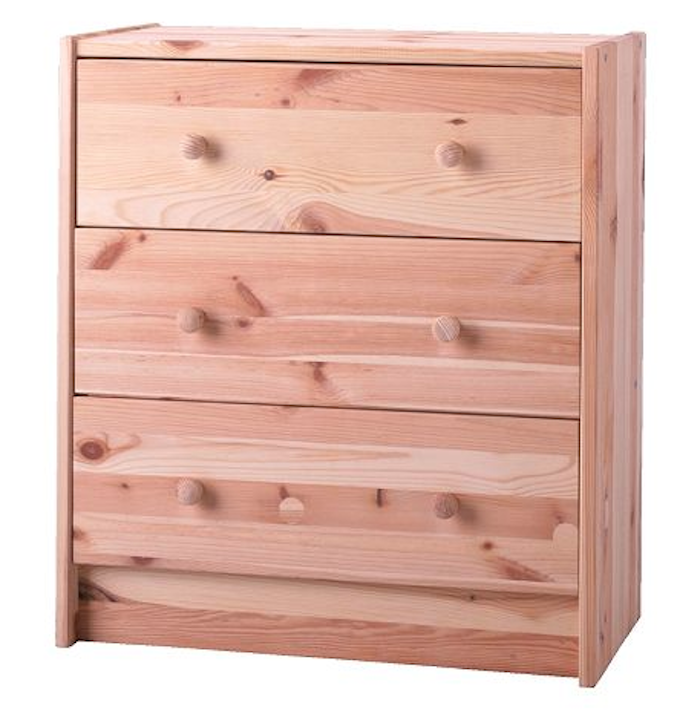 In case you are unfamiliar with the IKEA RAST chest, it is an unfinished pine chest that well, in my opinion, looks a little blah as is. 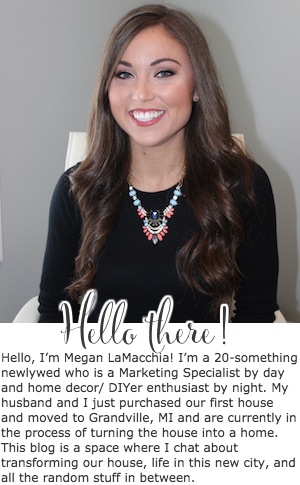 They retail for $35 each, making them very appealable if you want to make changes in your bedroom but on an affordable budget and are willing to give them a little TLC. 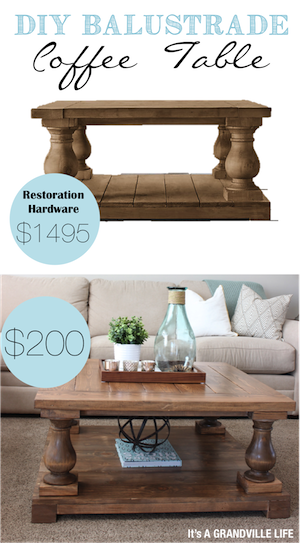 Below I have listed out the steps on how I transformed ours after assembling the chests per the instructions that come with it. 1. In order to be able to add legs, I needed to add a base to the bottom of the chest since it doesn’t come with one. In order to do this we cut (2) 1 x 6 boards the width of the nightstands and attached them with brad nails. 2. We attached metal top plates to each of the corners using the nails that come with them. This is where the legs screw into, and I found them at Lowes. 3. We used a 2’ x 4’ board that was 1” thick to cut new tops for each of the nightstands so that we could use molding and give it a more finished look. To calculate the width of the size of the board you would need to cut it you would want to use this equation: Width of the nightstand + [2 x (width of trim)]. We then attached the top with wood glue and brad nails. After the top was attached we filled in the holes that we created as well as the ones that come with the chest using wood filler. I also screwed in the legs into the metal top plates, which were bought from Lowes. 4. 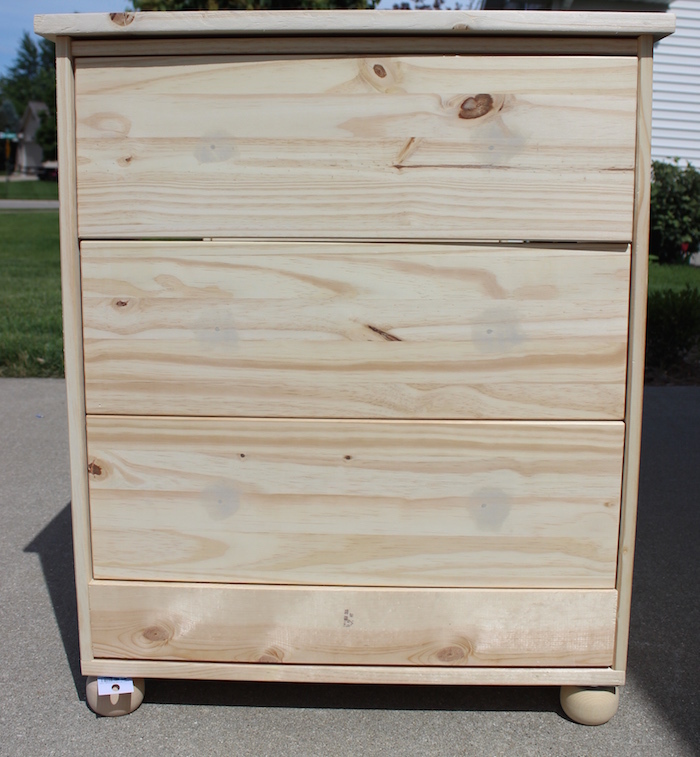 I used a 1 x 4 at the bottom of the chest so that it would be flush with the rest of the night stand. (If you look at the unfinished RAST chest image above, you will see that the bottom section is indented). To secure the 1 x 4 in place, we used brad nails and nailed it into place from the side. 5. Once the wood filler had dried, I sanded the top and side of the chest using a random orbital sander. Using a random orbital sander isn’t mandatory, I just did because the wood that comes from IKEA isn’t really smooth and I wanted it really smooth for when I painted it. To make sure that I sand everything evenly, I like to scribble light pencil marks on the wood. I then continue to sand the piece of wood until all pencil marks have disappeared. If you use light pencil marks, it shouldn’t take long at all. 6. 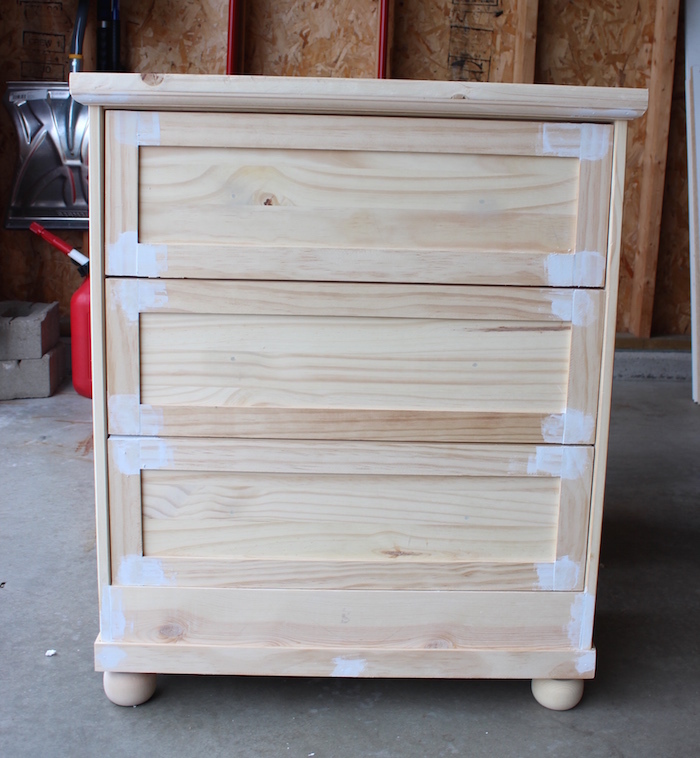 Next, I added lattice pieces to the nightstand drawers. I used 1.5” lattice that I got from Lowes. 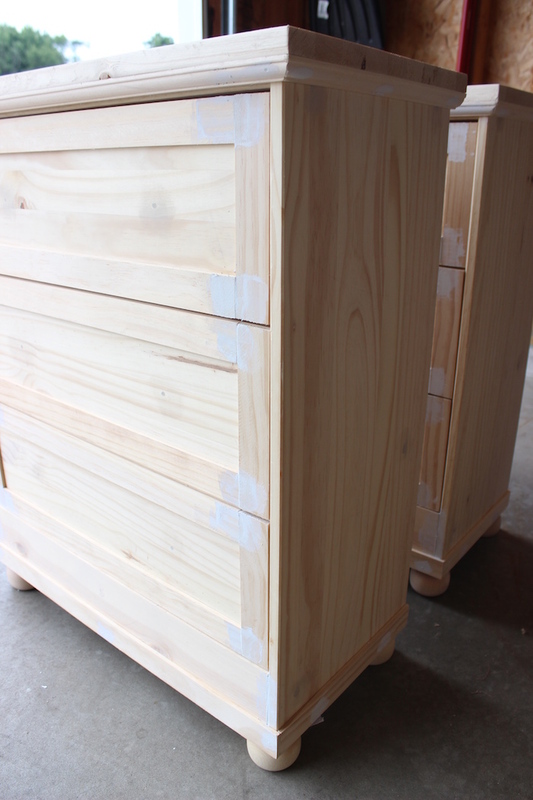 I cut the pieces using a miter box and used wood glue to adhere them to the drawers. To hold everything in place while the wood glue dried, I used clamps. 7. I used the same lattice as I did in step 6 and outlined the bottom rim of the nigh stand with it. The lattice strips were also attached using wood glue and brad nails. 8. 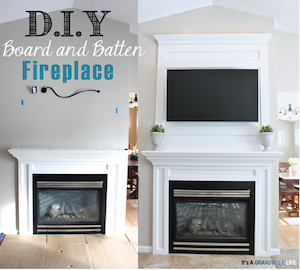 I used extra molding trim that we had lying around from our DIY board and batten fireplace, and secured it under the top piece using wood glue and several brad nails. To cut the molding trim, we used a miter box. We originally got the 5/8” molding trim from Menards for reference. 9. Next we filled in all of the remaining seams and holes using spackle filler. I was able to use this product since I was painting them, but if you are staining them then use wood filler since the spackle filler won’t stain. 11. Next comes the priming. I applied one layer of primer on everything (including the feet) and used primer paint that I already owned. To apply it, I used a foam roller brush and in the tighter areas and corners I used a small foam brush. Primer dries rather quickly and gets sticky, so it's important that you don’t keep going over the same areas so that you prevent bumps from forming. 12. After the priming is completely dry (I like to let it dry overnight), smooth any bumps out that might have formed using a high grit sanding block (I used a 220 grit). 13. Next it’s time to paint! I used behr’s paint in Swiss Coffee. I applied two coats with the same foam rolling brush and foam brush that I used to apply the primer. Between the two coats you can lightly sand out any bumps or lines. Also, between both coats we drilled the holes for the hardware. 14. Once the paint had dried, I put the hardware on! The hardware that I used is from Menards. 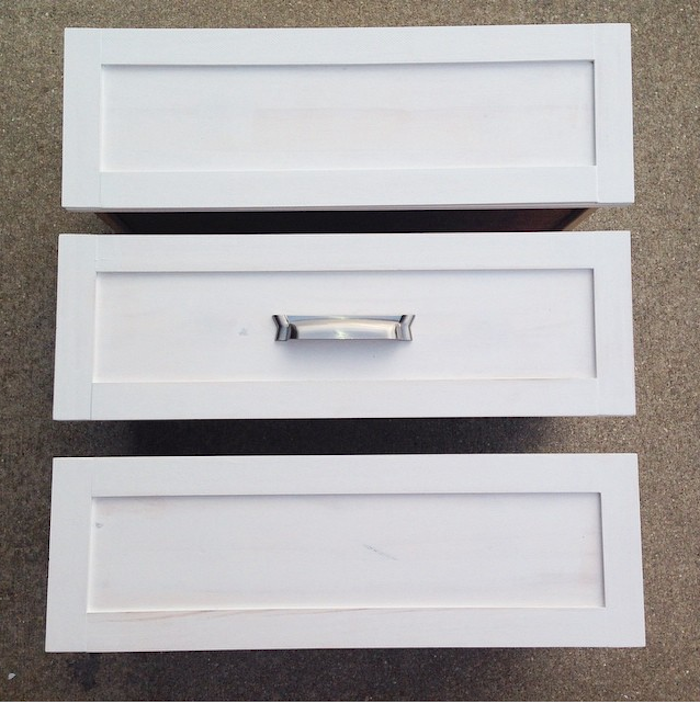 Then put the drawers back into the chest, and voila the nightstands are finished!! What do you think of them? I think I love them. Also, please ignore the crooked handle on one of the drawers. I was unable to fix it before I left, but I will once I get home! 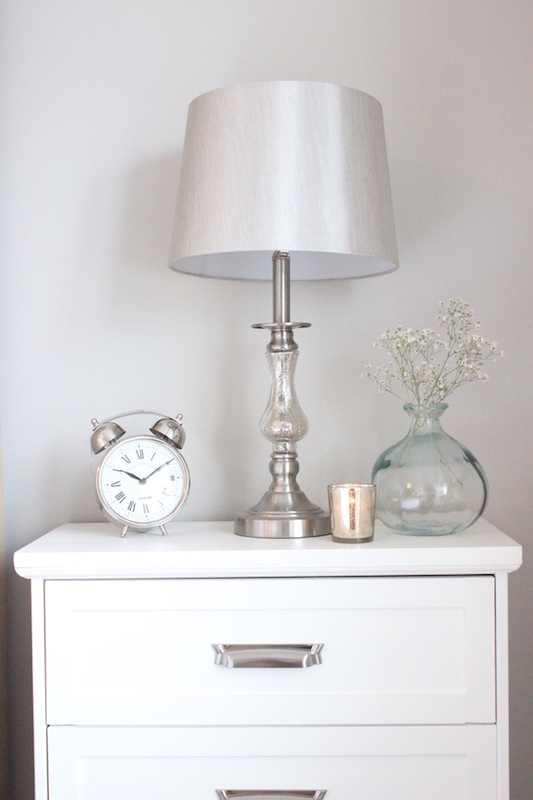 I was originally going to stain the nightstands, but I'm so glad that I ultimately painted them because I love the crispness of the white in this space. The nightstands that previously were in this room, were very short in comparison to the bed, so I also love that the night stands are more proportionate now. 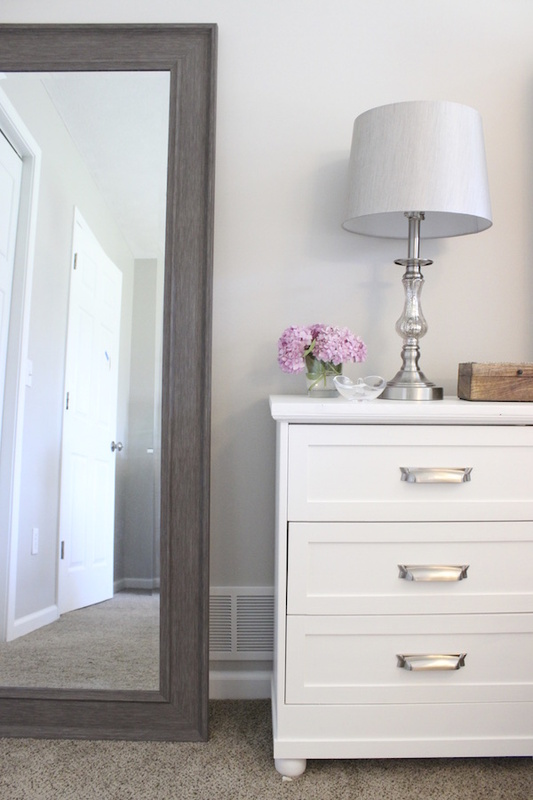 Later this week, I will be sharing other things that have recently been added to our master bedroom so stay tuned! That is way more complicated than I can handle! They are great though. Hi there, thanks for the post. it was great! any chance you remember the exact measurements for the molding/1X 6 boards for the bottom/lattice pieces? These are so beautiful! We have a RAST in my daughter's room but it's just not working there, and we need more substantial night stands in our bedroom so we're going to get another RAST and attempt this. BUT I HAVE A QUESTION! How did you make the drawers flush with the dresser once you added the 1.5" lattice pieces around them? How do these dressers hold up? I'm thinking of buying two and re-doing them, but are they solid enough? Well made? Thanks! Hi. I love them. I have the same question as Carrie. How do you make the doors flush after adding the trim? These are beautiful! Can you explain how you did the top? Are these multiple pieces of wood parellel to each other, or cut from onle large piece of wood? If it's one large piece of wood, where did you get that?